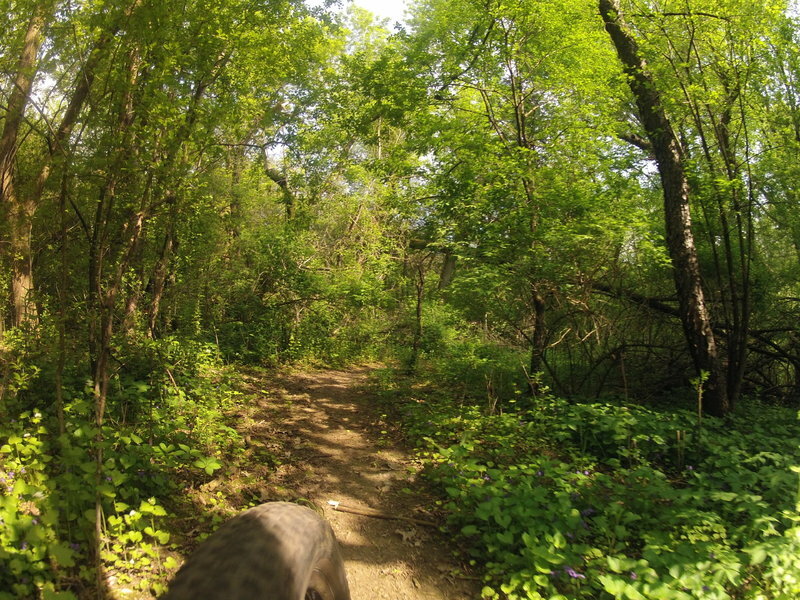 A ride through the summer foliage on the South Trailhead. Hardpack dirt when dry. Slimy and muddy when wet.